Please note: Easter Weekend Opening Times: We are open as normal on Fri 19th and Sat 20th April. Please call on 07748 635116 or 07771 767634 to enquire. Staffordshire Chickens are a family run supplier of poultry and poultry supplies. 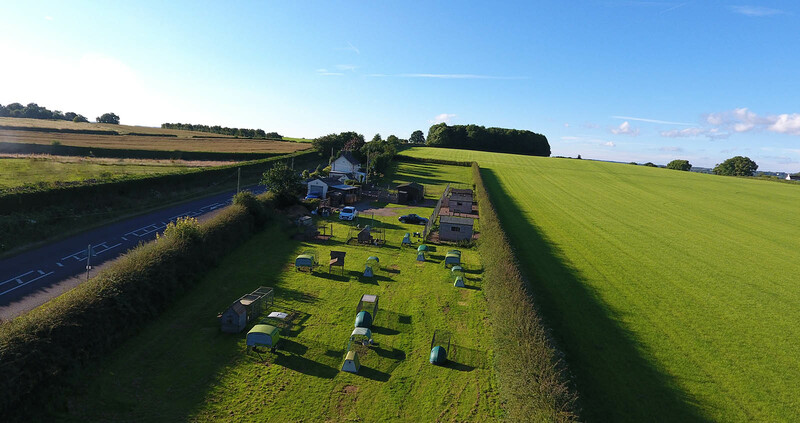 We are based in Eccleshall, Staffordshire and our central location allows us to serve customers from the majority of the Midlands, Including Staffordshire, Derbyshire, Shropshire and Cheshire. We are DEFRA registered and pride ourselves on our high standards of Customer Service. We stock a great range of Fully-Vaccinated Hybrid Chickens. We also stock a great selection of Pure-Breed Birds. Staffordshire Chickens are a leading Supplier and stock everything you could need at great prices with great advice and support. We Provide Chicken Boarding/Holidays! Going away on Holiday? Let us look after your Chickens while you're away! We have a full range of Coop's to suit most requirements! We provide amazing before and after sales support, you can always call us with any questions you may have. What was initially just a hobby, keeping a few birds for our own personal enjoyment and the marvelous fresh eggs, has grown and grown, until it became the Staffordshire Chickens we are known as today. Keeping your own hens gives you the peace of mind as to where your eggs have come from, and also the satisfaction of knowing your eggs are coming from a hen that is free to roam. Did you know that a Caged hen is only given on average 750cm2 to live in? Unlike many of our competitors - Non of our birds are kept indoors, they all have access to clean fresh air. Do you really want to buy a bird that has been reared entirely indoors and never had access to the outside world? All our hens are free range, to give them the best and happiest start to life. Our hybrid hens are fully vaccinated. You can find more details on our hens vaccinations here. You can mix any of our birds, they all live together here and get on well. A family run supplier of poultry and poultry supplies based in Eccleshall, Stafford. including Staffordshire, Derbyshire, Shropshire and Cheshire. We are also one of Omlet's leading suppliers of Eglu Go & Eglu Cube Coop's.